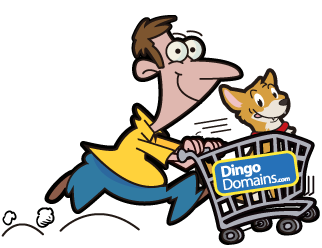 DingoDomains.com collects and processes information about customers and visitors to its web site to conduct its business, to inform and make available products and services that may be of interest to you and for the development of web statistics. The information you provide will be used to contact you when necessary, e.g. to notify you about functionality changes to the web site and to offer services that you may find helpful (provided you have not opted out to receive such services). Any personally identifiable information you send us will be used only for the purpose indicated. Requests for information will be directed to the appropriate staff to respond to the request, and may be recorded to help us update our site to better respond to similar requests. We will never sell, exchange or otherwise distribute your personally identifiable information, except to the extent required by law. We do not retain the information longer than necessary for normal operations. Each web page requesting information discloses the purpose of that information. If you do not wish to have the information used in that manner, you are not required to provide it. Please contact the person listed on the specific page, or listed below, with questions or concerns on the use of personally identifiable information. DingoDomains.com reserves the right to modify sections of this Privacy Statement at any time. Please check this statement from time to time for any changes. Do you like Rugby Union?